Sometimes Christmas presents are small, like a piece of jewelry or some clothing. Sometimes they are big, like appliances. It all depends on the person and their wants and needs. While some people may scoff at getting someone an appliance for a special occasion, why would you? It’s such an ideal gift for so many people. Take something like a range or microwave. This is something people use and can enjoy every day. It’s such a huge part of their lives, why not get someone the best! They will enjoy it every day, so much more than most other gifts you give. Plus, every time they use it, they will likely be thinking of you! How can you beat that? Recently, I’ve become a huge fan of Samsung appliances. The value is great and the look and features are really innovative and state-of-the-art. It’s pretty impressive. But don’t just take my word for it! As you prep your home for entertaining during the holidays and decide if finding the right appliance if for you, you can count on the expert service at Best Buy to find you the right Samsung Appliances at an unbeatable price. Yes, people, it’s time to Prep for the Holidays! One of the best appliances out there right now has to be the Samsung 30″ Microwave Combination Wall Oven with Flex Duo™ in sweet Black Stainless Steel. I am loving this machine. The oven has steam cooking, so you can bake and roast with professional results. I need all the help I can get, and this does the job. It delivers moisture at precise times for a crisp, browned outside, and tender inside. This is perfect for just about everything, but I’m thinking that a nice, roasted turkey around Christmas dinner would turn out amazingly delicious. It also has a microwave oven with Speed Power Convection technology to reduce cooking time. 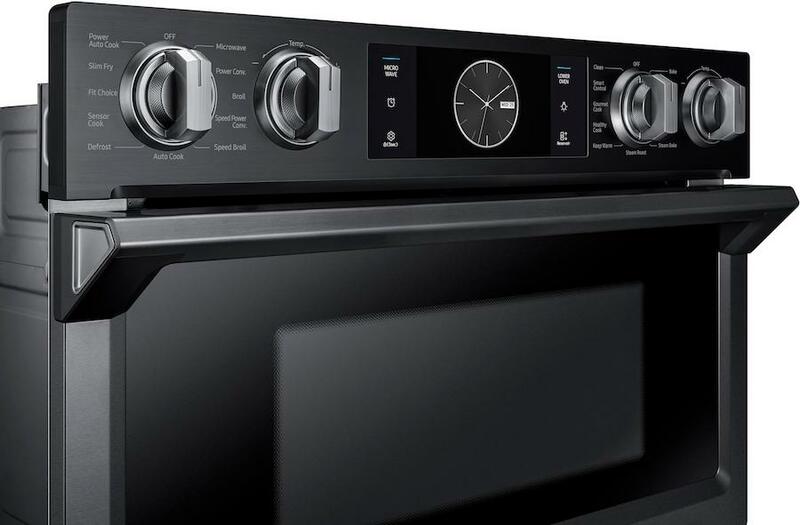 Maybe the best part of it all for me is that the oven sports WiFI Connectivity so you have the ability to remotely monitor your oven for peace of mind. Turn on/off, preheat, and adjust temperature or time from your smartphone for the ultimate cooking experience. It’s a sick machine. If cooking isn’t your bag and you really want a great place to store all of the goodies you picked up at the market (or for all those delivery and dinner’s out leftovers), then maybe the Samsung Family Hub 2.0 22.2 Cu. Ft. 4-Door French Door Counter-Depth Refrigerator in classic Stainless Steel is the move for you. 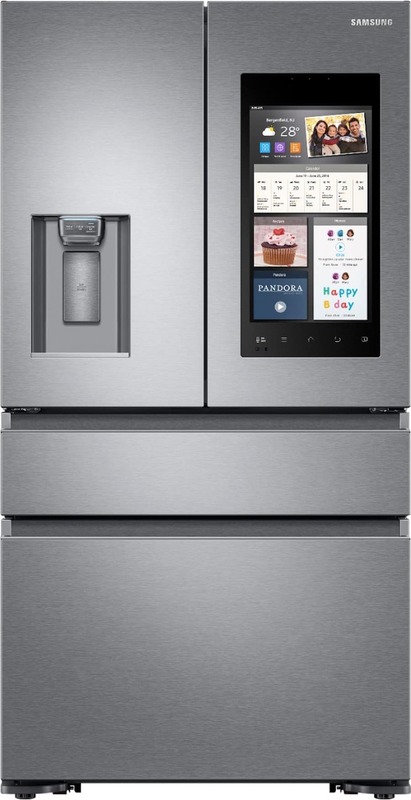 Make the kitchen the center of your home as the Family Hub 2.0 helps you manage your home and your life with Food Management, Family Connection and Entertainment capabilities – all controlled from a 21.5″ Wi-Fi-enabled touch screen on this beautiful 4-Door French Door Refrigerator. It’s insane, it’s like something from the future, but it’s firmly in the world right now!! I love that you can create shopping lists to keep track of your groceries and peek inside your refrigerator from anywhere. You can even set expiration notifications to keep all your food fresh. It just makes managing all of your foods so much easier and more efficient. It’s a home-run. If you are looking at redoing that kitchen, or just picking up some great appliances for you or your family and friends, then this is a great time to buy Samsung Appliances at Best Buy. Right now, get 10% Off When You Buy Four or More Samsung Kitchen Appliances!!! That’s a fair amount of cash you get back. Looking To Go From Sports Zero To Hero? You Need The Right Gear! I would love to find this appliances under the tree. Since they’re too big for that, I think it’s time to take the hubby to Best Buy! My Kitchen needs a complete overhaul, pretty much all the appliances need to be changed. I will go with different brands for each appliance more than likely, and am evenly tied between Samsung and Bosch for my new washer! I like the Flex Duo technology of the Samsung oven. I read customer reviews and so far, I am liking what I have read. Let me see if this would fit into our budget. Our oven may retire soon. I am interested in the fridge, not so much about the hub, but with the other features. The roomy interior, the steel gray color, the energy efficiency. If we would be needing a new fridge, I’d go for this Samsung. I have a lot of holiday hosting to do this year and these Samsung appliances would really help ease the workload. That fridge looks like it would really help save me time with all of it’s features, especially the create a shopping list one. Having that oven would open up a lot of recipes options for us! I’m liking the sound of the Wi-Fi connectivity so I could start pre-heating at any time. Samsung has been making waves this year about their appliances and how can anyone resist! It’s really amazing what they brought to the table. Each one has features you need at home. Wow! Those are all amazing features! We’ve been thinking about getting new appliances for the kitchen and Samsung would be a great choice. It’s worth it. If the holiday are near, that means my oven is going to need to be in tip top shape. Samsung looks like it’s got a great line of products.